Streetsblog’s Joe Linton appeared on KPCC Radio’s Take Two morning news show this morning. Audio is available on-line. Streetsblog broke the open streets expansion story last week. Metro is on target to approve a dozen upcoming CicLAvia-type open streets events throughout L.A. County, including East L.A., Long Beach, San Fernando Valley, Santa Monica, and multiple events in the San Gabriel Valley. Metro’s board still needs to approve the plans. The proposal will be heard at Metro’s Planning and Programming Committee on June 18th and then at the full Metro Board meeting on June 26th. Find the Metro meeting agendas and supporting materials here. 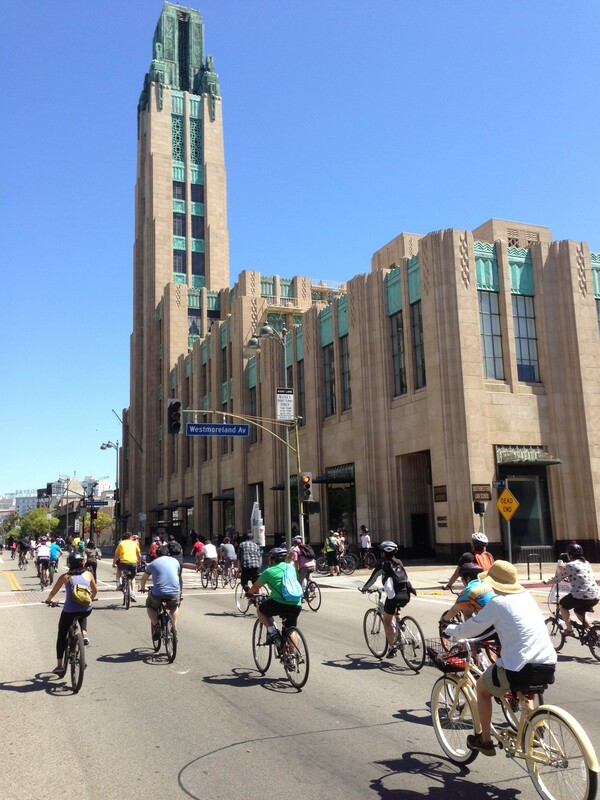 The next CicLAvia event will be Sunday October 5th, 2014. The route will be the original central “Heart of L.A.” version, and will include a new spur through Boyle Heights into unincorporated East Los Angeles.